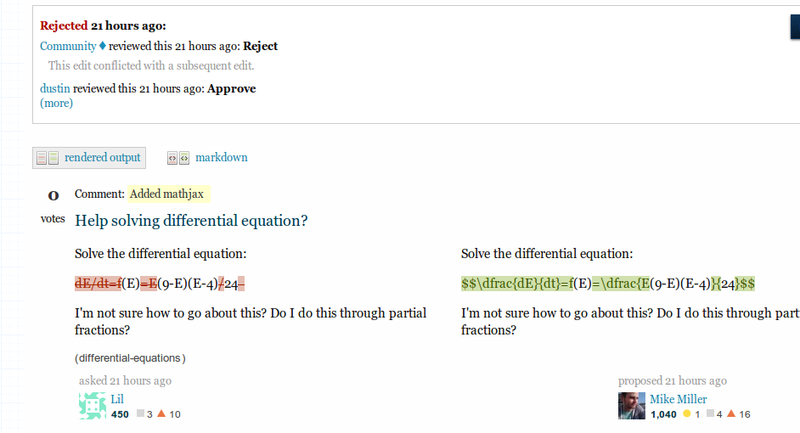 I've just gone to edit a question and noticed my last was rejected here: Help solving differential equation? The reason given was that it conflicted with a subsequent edit, but from that link the subsequent edit seems exactly the same as my own. Am I still seeing my own edit or is there a reason for this? You were rejected because someone with a rep $\geq 2k$ or the OP was editing as well prior to you submitting your edit.